For more than 50 years, Yemm Auto Group has served the local Galesburg community with new and used car sales, service, and financing. Over our many years in business, we've done our best to foster a community-minded environment at our family-owned dealership. Not only are we dedicated to providing the most attentive, sincere service we can, but we're committed to ensuring every experience with us is outstanding. 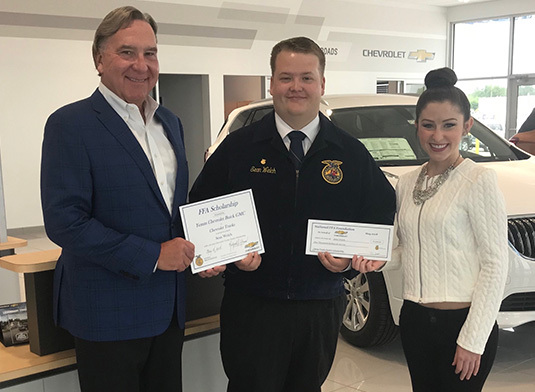 The Yemm Auto Group team strives to go above and beyond at every turn, and a large part of that is making time to give back to the community that's supported our business over the years. We want to thank our neighbors and local friends for all that they've done for us, so we like to give back to a host of organizations within Central Illinois. Whether we're donating to worthy causes or volunteering our time, we want to help make a difference in our community. It's our way of saying thank you for supporting us for generations. 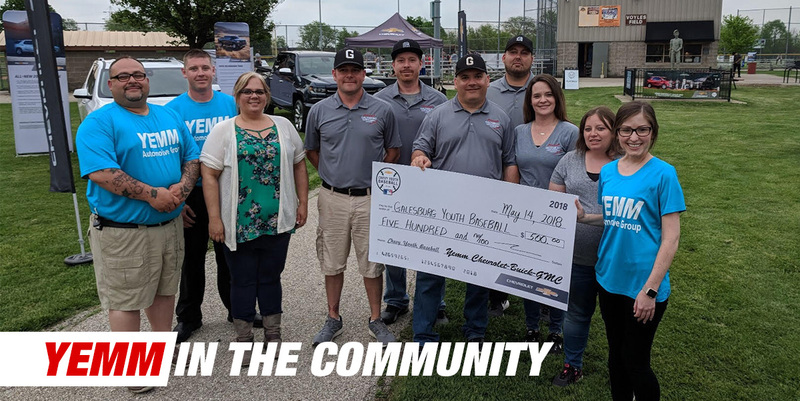 Learn more about the different organizations our Galesburg, IL, car dealerships are proud to support and find out how you can get involved! Chrysler's Cars 4 Classrooms is a fundraising event for elementary schools in the Galesburg area. 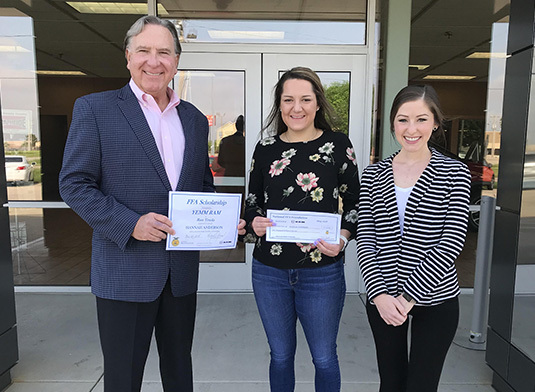 Yemm Chrysler teamed up with Silas Willard Elementary School in May of 2018 and Steele Elementary School. Chrysler donated $10 for each test drive taken in a Chrysler Pacifica Van. With the help of Silas Willard PTO and the Yemm Sales Team, over $1,000 was raised for Silas Willard Elementary School! 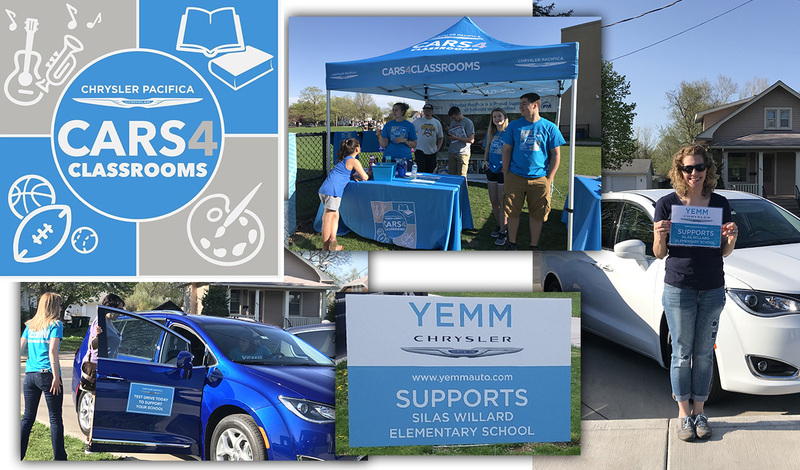 If other area schools are interested in hosting a fundraising event such as this at their elementary or Jr. High School, please follow this link and let Chrysler know you'd like to team up with Yemm Chrysler. There is still availability through the end of 2018! Yemm Auto Group in Galesburg, IL, recently held a car wash with all proceeds benefiting the Knox County YMCA Solutions Program. This local program for at-risk youth is a year-round, intrusive enrichment program that helps teens within our local community. The YMCA Solutions Program was created to help improve student performance in grades, office referrals and punctuality. With a three-tiered mentorship approach, the Solutions program team strengthens core values including caring, honesty, respect and responsibility. Students who participate in this program even helped out with the car wash! $1,350 was raised for their program! A BIG shout out to everyone in the community who stopped out for a car wash and showed support! To learn more, please visit Knox County YMCA. 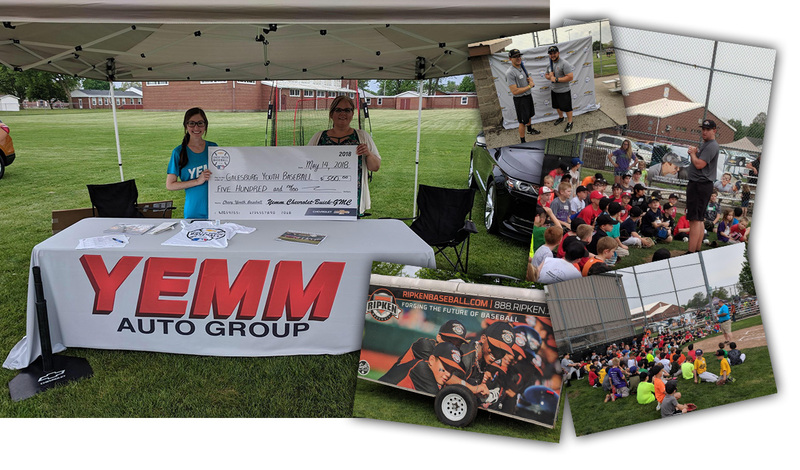 Yemm Chevrolet teamed up the legendary instructors from (Ripken Baseball) to provide the community with a free, exclusive instructional clinic for local boys and girls between the ages of 6 and 14. We also welcomed special needs participants of all ages to join in on the fun. During this fun day, these little leaguers broke out into age groups and rotated through different stations to learn the essentials of hitting, fielding, throwing and more. At the end of the day, Yemm presented a check to the league for $500. Plus, we raised another $500 by offering test-drives during the clinic. Overall, we donated a total of $1,000 to Galesburg Youth Baseball League!